Just the right mix of beauty and adventure. 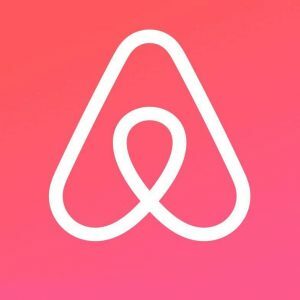 Awol has teamed up with Airbnb to explore the huge range of listings scattered all over the country. City life is awesome, but even the most die-hard city-slickers need to swap the urban jungle for a more natural variety every now and then. 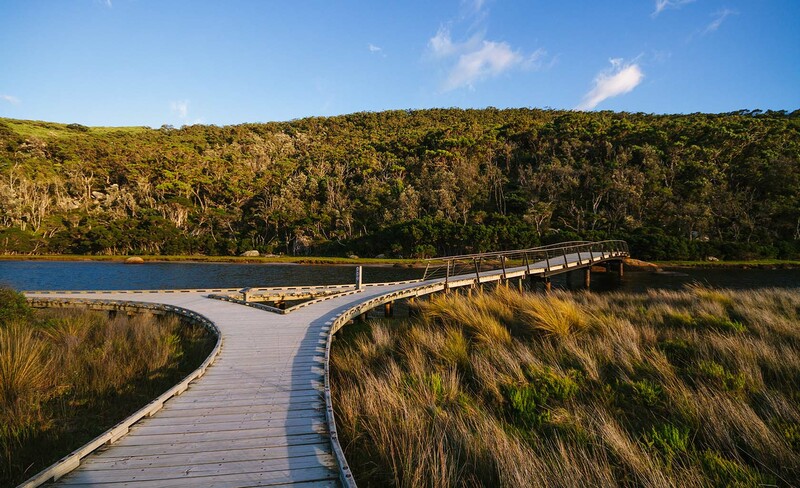 Just outside Melbourne, there are plenty of amazing hiking trails that deliver just the right mix of beauty and adventure, and a slew of amazing stays waiting for you at the other end. If you’re in need a weekend escape, these beautiful trails are the ones to try. Cape Woolamai is home to some of the most scenic stretches of the Phillip Island coast, yet, for some reason, most people don’t venture beyond the car park. It’s time to change that. Starting and finishing from the Cape Woolamai Surf Lifesaving Club, this gorgeous coastal walk takes in spooky sea caves and an old granite quarry, several scenic lookouts, and even the unique granite formation known as The Pinnacles. Low-lying sections of the track aren’t passable at high tide, so be sure to check the tide conditions beforehand. 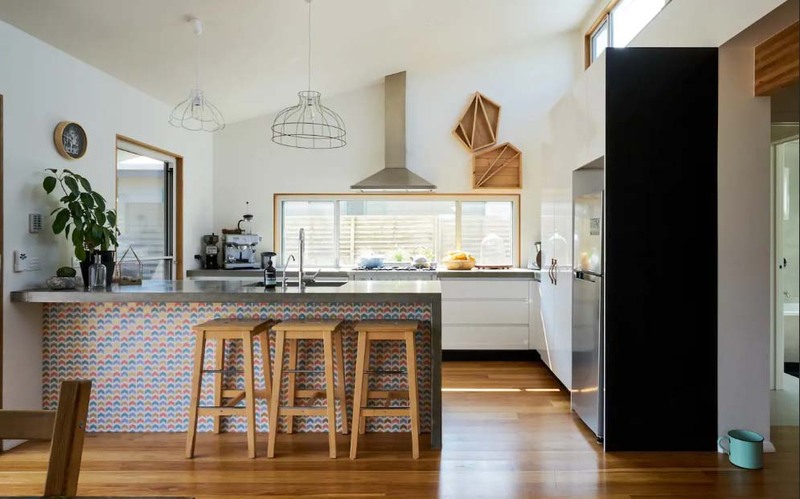 Up the road, in Sunderland Bay, Number Fifteen is a modern-day take on the classic beach house. It has four bedrooms, Netflix, Apple TV, Wi-Fi, an espresso machine and massive BBQ deck. Sunderland Bay and the local right point break at Surfies Point are in walking distance. Further afield there’s the Penguin Parade, where you can see little penguins return to shore each night, plus Phillip Island Grand Prix Circuit and the Bass Coast Whale Discovery Trail. Waterfalls, wildflowers, wildlife, and water crossings – The Pinnacle Walk has it all. 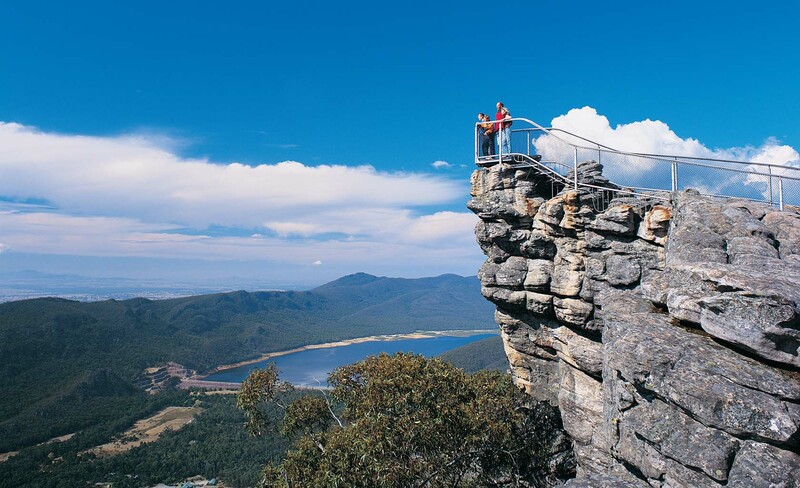 Starting from Halls Gap, this beautiful yet challenging trail passes rocky cliffs and precarious boulders as it makes its way up to the famous Pinnacle lookout. It’s not easy going, but every step will be worthwhile once you get a glimpse of the incredible Grampians views waiting for you at the top. If you want the same view but don’t want to commit to the full distance, there are also two shorter options – one from Sundial Car Park, which is the easier of the two, and another from Wonderland Car Park. Both of these walks will take you around 1.5 to two hours. If Halls Gap is the perfect place to get back to nature, Golton in the Gap is the perfect base to explore it. 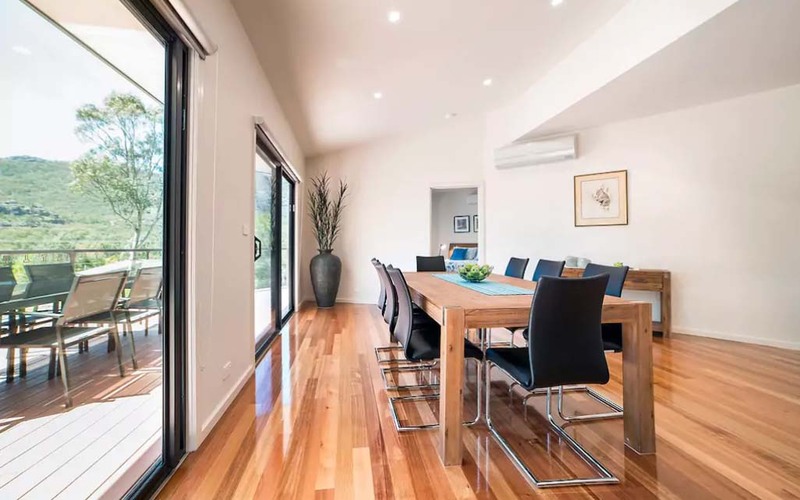 Sleeping up to eight people, this three-bedroom home boasts amazing views of the Mt William and Wonderland ranges, a huge deck to enjoy the sunset, wood fireplaces to keep you warm, and a kitchen that will bring out the master chef in everyone. While in town, be sure to also check out stunning Silverband Falls and the Halls Gap Zoo. A hidden gem on Melbourne’s doorstep, Werribee Gorge State Park is renowned for its epic views and stunning geological formations. Just an hour’s drive from the city, the park offers diverse trails to suit most skill levels. 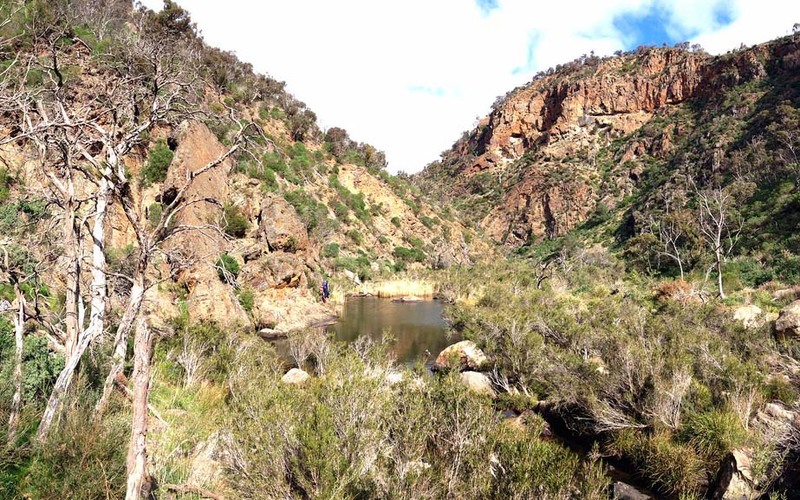 For experienced hikers, Werribee Gorge Circuit is the one to take. Starting from Quarry Picnic Area or the Meikles Point Picnic Area, it’s a tough but satisfying hike of winding trails and river crossings, cable climbs and more than a little rock scrambling. The track can get steep in a few spots, but it’s worth pushing through. 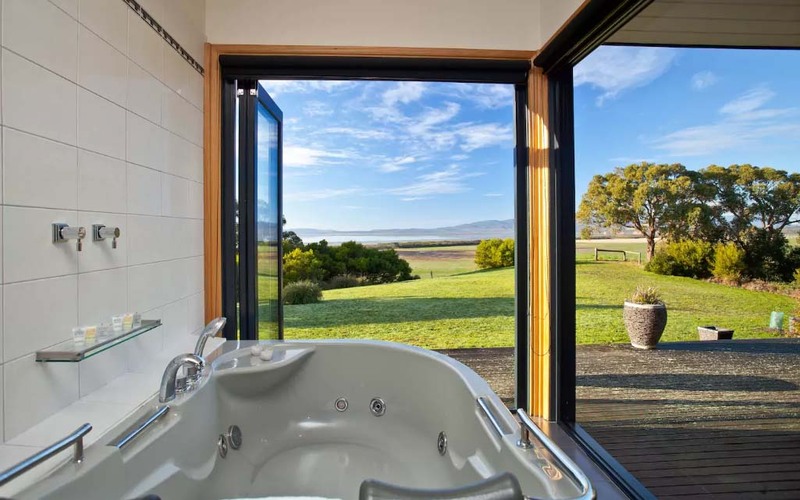 Just an hour from Melbourne, Greendale Views is the ultimate group getaway. Five bedrooms sleeping 10 guests, a solar heated swimming pool, outdoor fire pit, a private dam stocked with yabbies… It’s almost good enough to never leave – but you still should. More than just a base to visit Werribee Gorge, there’s plenty to do nearby, including wine-tasting and fruit-picking, plus Daylesford and Ballarat are both only 30 minutes away. 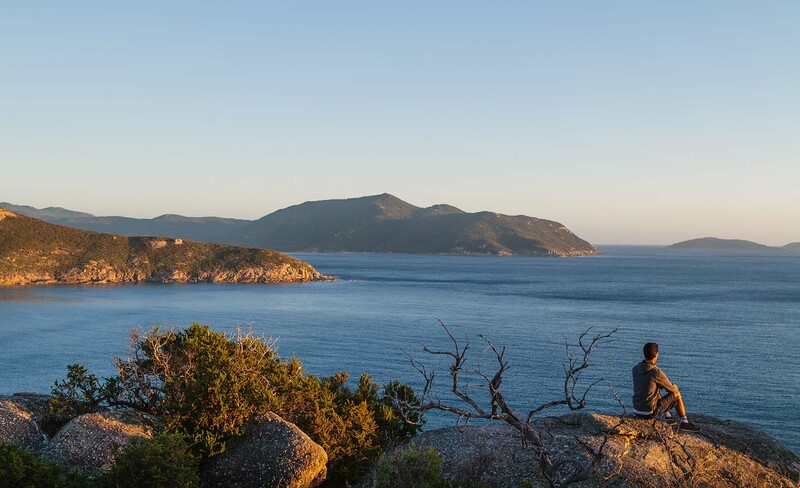 Victoria’s largest coastal wilderness area, Wilsons Promontory is a 500-square-kilometre nature reserve that’s home to forested valleys, hidden beaches, spectacular rock formations, and abundant wildlife. There’s also a labyrinth of scenic walking trails. Weathered by the harsh elements, the landscape is striking, and wildlife sightings are pretty much guaranteed. 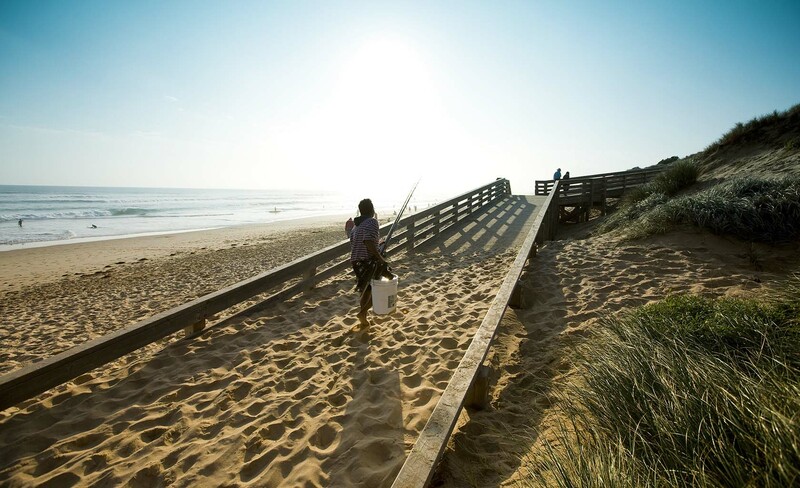 Tongue Point Trail, which starts and finishes from the Darby River car park, takes in several of the Prom’s key sights, including towering sand dunes, granite boulders, the snaking Darby River, and impressive drop-offs to the sea. The 6.8km Mount Oberon Walk on the Prom is also well worth a try, especially for early risers who want to enjoy a spectacular sunrise. Three words: luxury spa cabin. Located on a 10-acre property on the Prom, this adults-only escape is practically a destination in itself – and the ocean views from the spa are out-of-this-world. 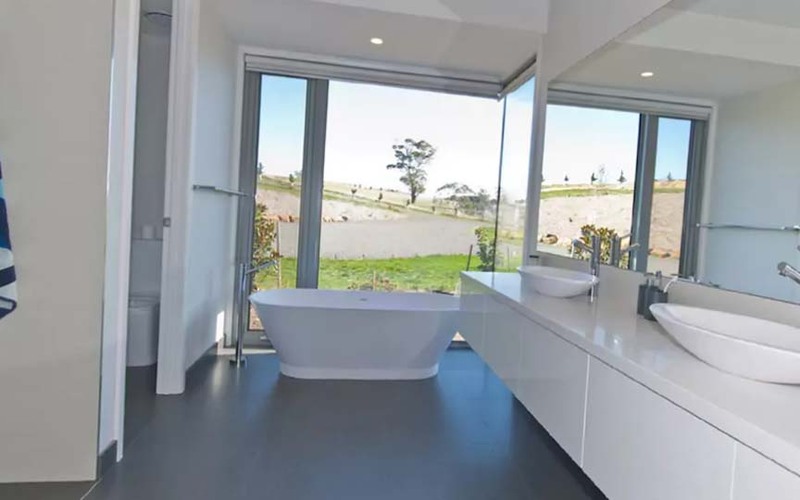 Guests are free to explore the property, which is also home to a koala habitat, resident alpacas and sheep, and three acres of old-growth forest. The cabin is within easy reach of other local sights, including wineries and gorgeous beaches such as Refuge Cove. Remember, before every hike, there are a couple of essential things you have to do. One: tell someone where you’re going and when you’ll be back, and two: take plenty of snacks and water to see you through the hike and more. After that, remember to have fun! Itching to get out and about? Airbnb offers thousands of quality homes wherever your heart (or legs) takes you.